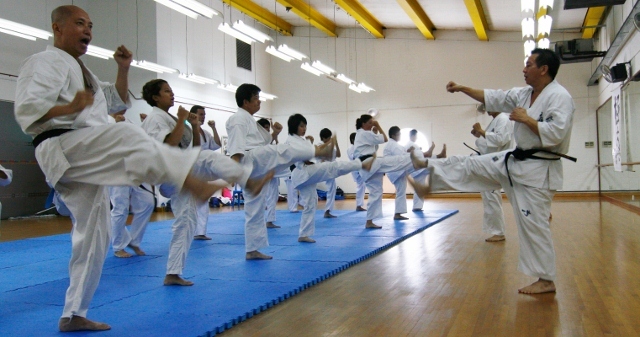 Time to time, there are inquiries about what to prepare before the start of every training lesson at dojo 武wu. Some people like to load on bites prior to training that can help boost your sugar level to avoid low blood sugar symptoms (such as feeling tired, lack of energy, mild giddiness). These light snacks can be: energy bars, energy drinks, chocolates, banana, papaya, apple, etc. You should hydrate yourself adequately before exercising. Let your past experience in exercising be a guide to how much water you should take before training. At dojo 武wu, there is usually a 5 mins break during the training which you can hydrate yourself. Some kyokushin karate students like to bring along with them sports drinks which may help replace the loss of water in your body faster. If you can, do try to arrive at dojo 武wu slightly earlier before the commencement of your lesson to do your own stretching. Stretching is important in every training lesson as every Kyokushin Karate student is expected to be flexible and nimble over time such that you can deliver high-power kicks as well as punches with great impact and speed. Pre-training stretching also allows you to recap what Shihan Patrick or your Sensei has taught you during the warm-up training at every lesson. 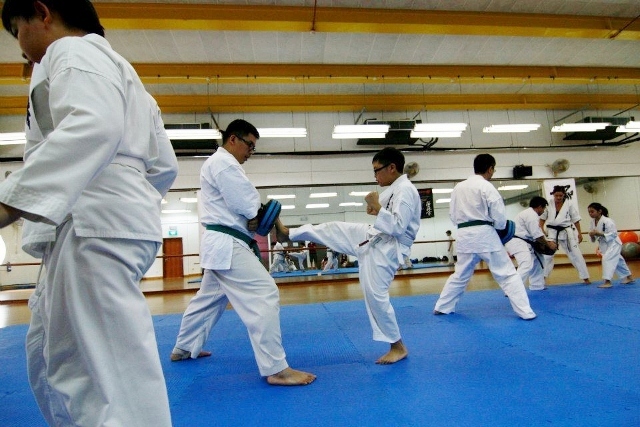 dojo 武wu at Tampines is located just beside Tampines Stadium. If you have time, you can take a jog at the stadium before training starts to warm your body up as well as to build on your stamina. Getting prepared for training also involves discipline. There may be times when you feel tired after a long day’s work from office or school and it may set you to head home or out with friends instead of going to dojo. Remember, self-discipline and determination is also part of the training of Kyokushin Karate. It is an uphill task, but with perseverance as a learner of Kyokushin Karate, you shall overcome these mental blocks and obstacles. Posted on March 10, 2012 by admin. This entry was posted in Article. Bookmark the permalink.